In the past two years I have had the delight to write about a fascinating and mysterious part of Panama that lies in the eternal spring mountains of Chiriqui. With help from The VISITOR/ EL VISITANTE, I plan to release a book entitled “Panama, history and mysteries” early in 2009. I hope it will give VISITORS and residents alike a glimpse into a previously unknown part of this country – besides some previously unpublished historical anecdotes there will be two maps showing the locations of buried treasure. 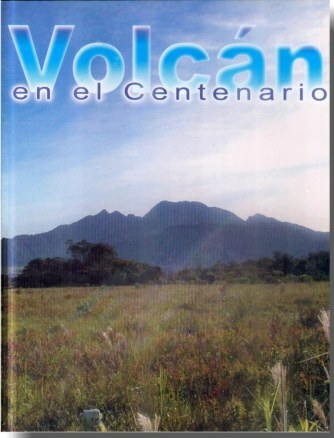 The book will carry stories about Panama’s most distant past and dark stories of present times. The book’s prime purpose is twofold, one, to make sure the history of this country isn’t forgotten and second to raise money for a dear friend and fellow Journalist, Osvaldo Ivan Flores. The paper was a basic as a publication could be. The first edition on September 16th of that year was two 8½ x 11 inches pages stapled together. It was in black and white with no pictures and advertising was $5 a month for 4 vertical inches. Twenty copies were sold that first week for the princely sum of 25 cents each. People came forward with stories and ideas. Then the paper went to four pages. 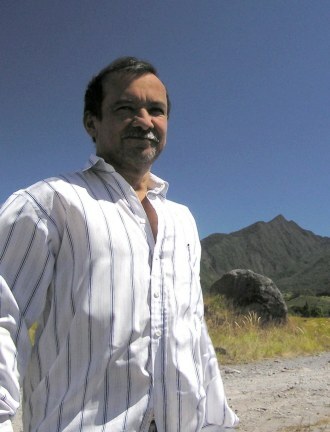 Radio Chiriqui in David, received copies and the headlines were read over the air. In 2003 Panama celebrated its centennial. Presales of advertising enabled the little paper to reach a 1,000 sales. Ivan and Osvaldo junior were beginners with their computer. They didn’t even understand how to save files to disk – and inevitably entire editions would be accidentally sent to cyber heaven because of a wrongly pressed key. Semanario Informativo grew in size and content to 12 pages in color. The little paper that could seemed destined to become a leader in western Panama, but disaster struck 121 weeks after its launch. Disaster strikes. In 2004, Ivan had been feeling increasingly unwell and a doctor confirmed that his kidney had shut down. 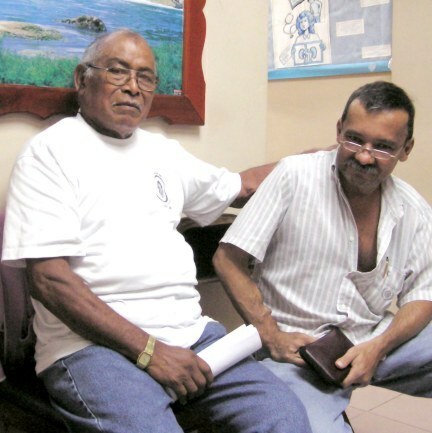 As Ivan said in his own words, “My life had changed 100%, but my life hadn’t stopped.” Indeed it didn’t, Even when Ivan had to drive to David three times week for dialysis he still found time and energy to produce a four-page color newsletter called ESPERANZA DE VIDA. 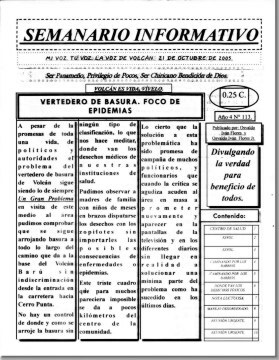 Radio Chiriqui also broadcast the contents of this publication. In 1968 Panama came under the control of a military dictatorship. Few people dared to question or oppose the cruel and authoritarian rule from Panama City. But the Mountain town of Volcan was different. Onofre Quintero was a leading freedom fighter in the mountains then. The brave exploits of these hold-outs-for-democracy would be lost to history except that their story has been faithfully recorded in a book by Ivan Flores. In 1998 a memorial statue was erected in a park in Volcan to the memory of those brave men. At the inaugaracion, Ivan’s son, Osvaldo Junior, handed a copy of the book to President Endara. In recent months Ivan has visibly weakened. At times the pain and discomfort has led to many sleepless nights. The fatigue and lack of sleep recently led to his accident when he ran off the road south of Volcan. Fortunately he survived the accident with a few broken ribs. Ivan is realistic and philosophical about his condition and life expectancy. His advice for people in a similar situation is that they learn to accept what life has given them. 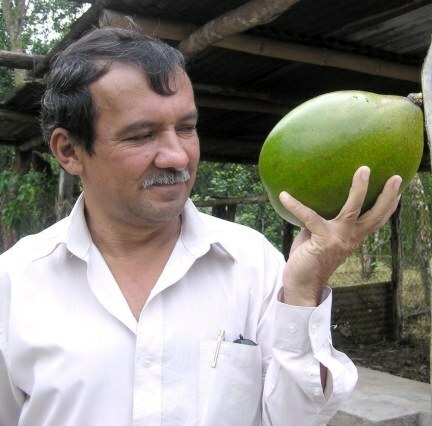 On our adventures into the hills and valleys of Chiriqui have given me tremendous respect for this great Panamanian. Frequently he winces with pain, but moments later he fights back and once again his face lights up with that famous mischevious grin. In the past two years I have been able to write about many interesting aspects of life here in western Panama. Ivan Flores has helped me see a whole different side to the life and people of this great country. The reason I have been able to see so much and so far, is that I have been standing on the shoulders of a much taller man.